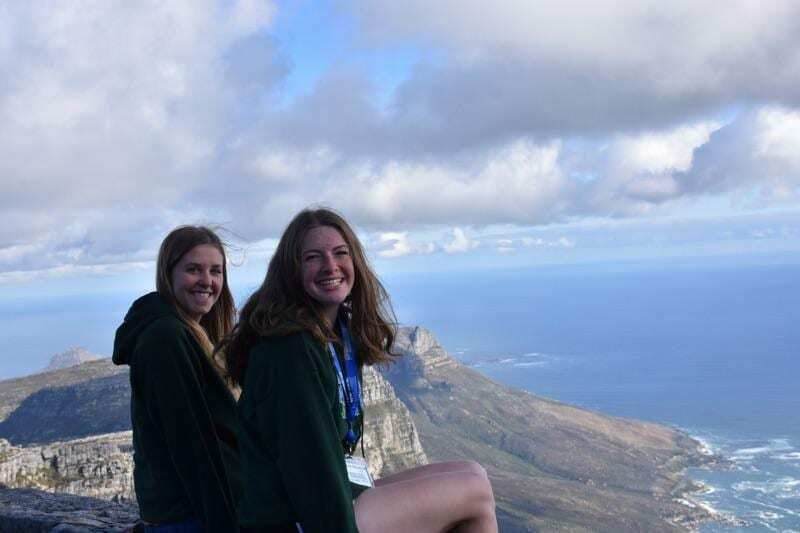 In the summer before my senior year of High School I was invited to participate as an ambassador for two weeks in South Africa for an organization called People to People International. People to People International is a travel organization started in 1956 by President Eisenhower to spread cultural understanding between countries. Now, the program reaches 160 countries and is focused on immersing students in a country’s unique culture, prioritizing education above tourism. The program I participated in was called “South African Safari.” Within this trip, I visited multiple citie s including Cape Town, Johannesburg, Knysna, George, and Hoedspruit. The experiences I had can be divided into two categories, cultural, and environmental. I learned a lot about the apartheid, and saw first hand the effect it had on citizens. I interacted with so much of the community, visiting not only the higher classes of South Africa, but also the lower. 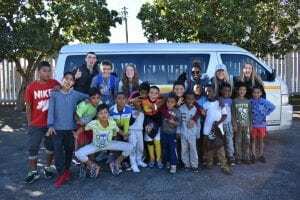 We played with children at daycares/schools, listened to a children’s choir sing, attended a native South African themed dinner where we learned how to drum and dance like past tribes did, and ate food that I would never find in the United States like springbok and ostrich. My delegation also went to a lot of different rescues, rehabilitation centers, and Kruger National Park. I learned about African wildlife and the current dangers much of it faces because of poaching and diseases. This trip was my first time out of country, so it opened my eyes up to a lot of new experiences. My travel group itself was a national delegation, so I was traveling and befriending people from Massachusetts to California. Being from a fairly small farming community, this was my fist time meeting so many new people between my delegation and everyone I met from South Africa. It was also my first time away from my family for more than a week. I came home more independent and learned a ton about how people lived outside of Ohio. One of my favorite people I met was one of our tour guides when we visited the townships in Cape Town. The city was still fairly divided from the apartheid, leaving the outer parts of the town, the townships, in less than ideal conditions. Yet my tour guide said something that stuck with me, “You look at these and feel sad, because in the sta tes they are a sign of a depression, but here they are a sign of better times.” He told us of when people were allowed to begin moving back into the cities, when families were reunited, is when these makeshift homes were created. He taught me to look at this community in a new light, forcing me to challenge stigma behind what I previously thought. Another community I visited was the Rastafarians, of whom live a very different lifestyle than us. Everyone I met viewed the world in completely different ways than I, exposing me for the first time one of the Honors and Scholars G.O.A.L.S, Global Awareness. It sparked my passion for travel so much that not even a year later I visited Costa Rica. Becoming globally aware is one of my biggest goals to get out of The Ohio State University and my career. I knew of the endless opportunities I would have as a scholar and plan on continuing to pursue this passion of mine. My visit to South Africa also had a large impact on my career goals. Before going, I knew I wanted to become a veterinarian, most likely small animals. While there, I learned not only about South Africa’s history and culture, but also about their environment and wildlife. In fact, one of the reasons I chose this trip was because of the immersion into African wildlife I would receive. We visited national parks, sanctuaries, ranches, and reserves. 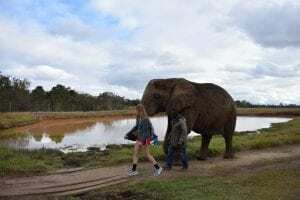 Some of my favorites included Kruger National Park, Tenikwa’s large cat sanctuary, an Elephant Sanctuary in Plattenberg, and The Hoedspruit Endangered Species Centre. I walked with elephants, went into cheetah enclosures, and raced through Kruger with my guide named Roxi to find a sleeping male lion. While all of these were exhilarating and sound cool, I learned a lot about current issues in Africa’s wildlife in doing these. At the Elephant sanctuary I met elephants of whom had been stripped of their tusks, caught in traps, and simply couldn’t live o their own any more because of ivory poaching. I leaned how this affects not only the animals directly affected, but by removing large tusked elephants from the breeding pool, how this affects the overall population of elephants. In Hoedspruit I encountered rhinos and learned of the poaching for their horns, as well as how current specialists are trying to prevent it. I also learned about a current problem they face with wild dogs and a disease they spread because of unique behavioral rituals they perform every morning. At Tenkikwa I saw the wildlife people once kept as pets and then got rid of once they became too big, and learned about the detrimental affects this has on the animal as well as the surrounding community. Reflecting upon my experience, I realized how much I cared for these issues and found my love for zoo and exotic animals. I saw how many opportunities I had to help these animals through visiting so many different places. It opened my eyes up and helped me find my passion for wildlife and zoo veterinary practice. Posted by nicol.134 at 3:16pm October 15, 2018 Posted in Artifacts. Bookmark the permalink.